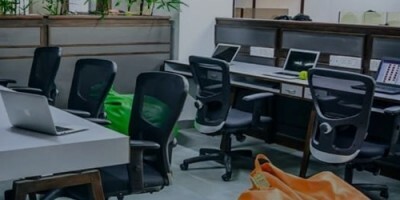 Best Business Centre Space, Shared Office Space In Hyderabad - Free Trial Available! 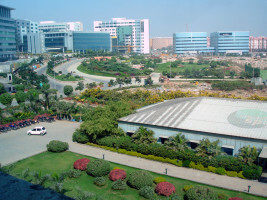 InstaOffice Business Centres in Hyderabad are placed in the heart of the city, equipped with fantastic furnishings and all amenities you could possibly ask for. We aim to give you a productive and happy workday, every day! Our flexible layout options include private offices, managerial cabins, open workstations, and meeting rooms. We ensure you invest your time on the things that matter! InstaOffice business centres are fully-equipped with hi-speed internet, freshly brewed coffee, IT & secretarial support, and meeting rooms with an on-demand audio & video conferencing facility. Whether you are driving down for a meeting in the heavy city traffic, or ordering treats for your team - we have got you covered. 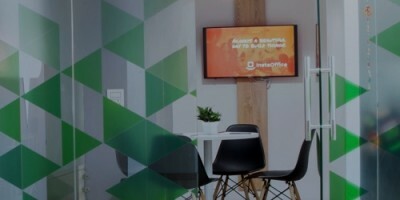 Be an InstaOffice member to avail our ever-increasing member benefits. Exclusive offers and discounts from our partners help us ensure our members are “Happy Officing”, always! What is a business centre ? A business centre is a professionally managed commercial facility that offers end-to-end business infrastructure and services for short and medium term periods. How is a business centre different from a conventional office? Unlike conventional leasing offices, a business centre does not have long lock-in periods and large security deposits. You can simply book a business centre according to your requirements. Is it true that business centres are very expensive? This is a common assumption. However, in reality, since all the resources in a business centre are shared, customers are able to utilize premium facilities at a lower cost than in a traditional office. What services are available in a business centre? Business centres offer end-to-end professional services to all types of organizations. Apart from refined furnishings and best-in-class IT infrastructure, such as high speed leased lines, internet backups, data security, VPN, firewalls, etc, our business centres also include business concierge services and administrative support. How is the billing done in a business centre? Billing in a business centre is done simply on a pay-for-what-you-use basis. Tell us about any specific requirements you may have, such as location, office size, layout, number of workstations, administration and support facilities, etc, and we'll send you the best quote to use our services. There are no hidden costs. Is it safe to work in a business centre? Yes. All our private offices are lockable. Every guest has access to personal lockable storage. Also, the whole office is under 24/7 surveillance. Even outside of business hours, there is always a security guard present. What kinds of users generally opt to work in a business centre? A business centre caters to a wide spectrum of businesses and organizations, from MNCs to SMEs to governmental organizations or start-ups. While start-ups and freelancers benefit from the flexible and cost-effective solution that a serviced office provides, larger firms are able to rapidly achieve a highly professional solution to their business needs. What is the minimum and maximum period for which I can use a business centre? Some of our guests have signed up for several years, while others use our offices for a few days every month. You can sign up to use our business centres for any period of time ranging between a few hours to multiple years. What is the minimum and maximum size of an office in a business centre? Our private offices can seat between 2-40 people. Our configurations can be changed to accommodate even larger teams.